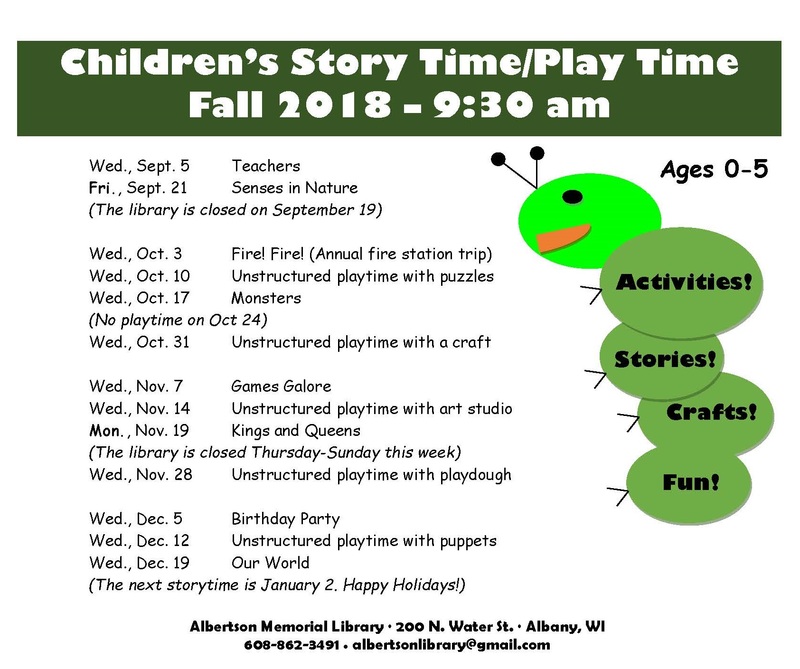 Our community room is open for caregivers to bring their children into the library to play on the 2nd and 4th Wednesdays each month at 9:30 a.m. during the school year. This is an unstructured playtime but may include certain toys, props, craft supplies, or activities to promote early literacy. Exceptions to the Wednesday schedule are noted on the schedule below. Cancellations for both programs due to weather or other circumstances are announced on our website, facebook page, and posted at the library whenever possible.